Tesco is in discussion with potential candidates to replace its corporate affairs director, Rebecca Shelley, as it struggles to deal with the fallout from a recent accounting scandal and declining revenues, PRWeek understands. A source told PRWeek that Tesco chief executive Dave Lewis was looking for a fresh face to lead its fight-back. It is not clear whether Tesco has issued a formal brief to headhunters or is making informal soundings of possible candidates to replace Shelley. However Tesco is understood to have spoken to at least one FTSE 100 corporate affairs director about the role, although the talks were not productive. PRWeek understands that the search has been going on for some weeks. The news emerged on the same day that Tesco ended its 32-year relationship with auditors PwC. Lewis wants a "clean sweep" of executives and professionals associated with its accounting and trading difficulties, the source said. Last December, Lewis removed responsibility for investor relations from Shelley’s corporate affairs department and placed it with the finance function as part of changes to Tesco’s executive committee. In January this year Tesco hired Blue Rubicon to advise on achieving a 'reputation turnaround' and changed its advertising agency, replacing Wieden+Kennedy with BBH. 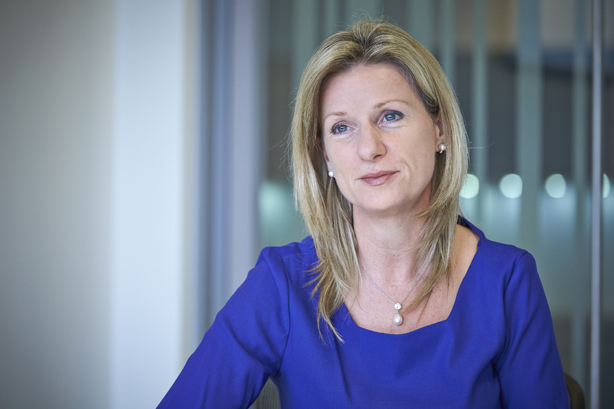 Shelley joined Tesco in May 2012 from Brunswick, where she was a partner, to take over corporate affairs duties from corporate and legal affairs director Lucy Neville-Rolfe who retired in January 2013. The supermarket giant reported an operating loss of nearly £6bn this February and is being investigated by the Serious Fraud Office for accounting irregularities that caused profits to be overstated by £263m last year. In a statement this morning Lewis’ office denied it had commissioned an executive search to replace Shelley but declined to comment on whether or not the company intended to replace her. A press office spokesman later added: "We have recently carried out a restructuring of the entire head office and that includes communications. We are not searching for a corporate affairs director." Shelley was contacted by PRWeek but had not responded to requests for comment at the time of going to press.